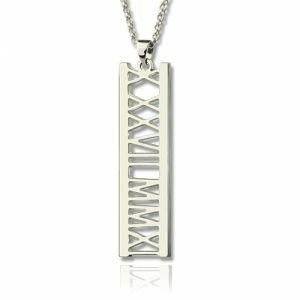 Special Date Necklace Sterling Silver - In life, there are so many days to remember, honor and celebrate-- days when your smile could not help but radiate and days when you felt and understood the importance of family, love and friendship by having those people close by. 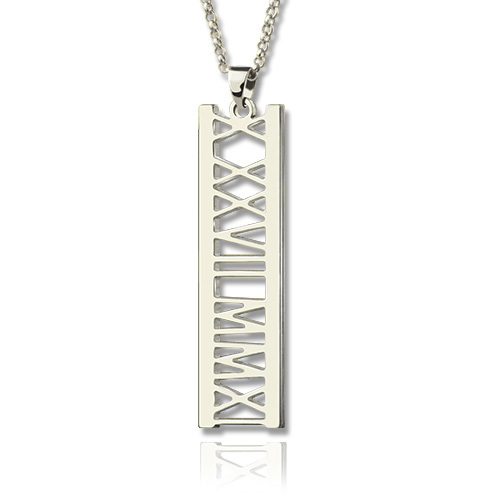 Personalize this sterling silver vertical stick pendant with a date, in Roman numerals, important to you . Consider customizing it with your birthday, your wedding day, the birth of a child or the memory of an important person who made a difference in your life. 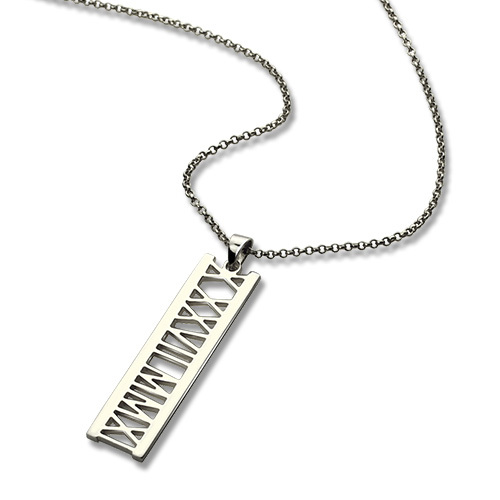 Hang this meaningful symbol close to your heart.